Founded in December 1999, In Reach is a community-focused 501(c)(3) tax-exempt, non-profit organization positioned to respond to the unmet developmental and academic needs of children and youth living in Prince George's County, Maryland. In Reach believes that students should always be in reach of a quality education, opportunities in their community for development and, ultimately, their dreams. In Reach prepares students for college, work and life by activating networks, providing educational programs and resources, and collaborating with a host of stakeholders to bridge the educational and opportunity gaps between schools, families, and communities. In Reach has been serving students in Prince George’s County for close to twenty years. We envision healthy, productive and prepared young adults in every family. 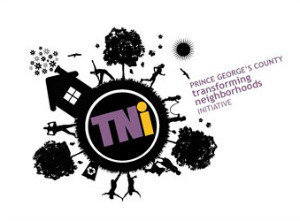 Although In Reach works with students from all backgrounds throughout Prince George's County, Maryland, the primary beneficiaries of In Reach’s programs are students attending Title I and high poverty schools and their families.